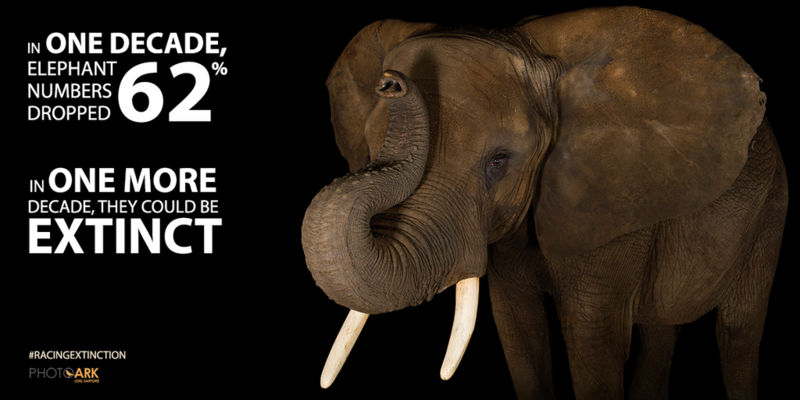 In 100 years, fifty percent of all species could be gone. 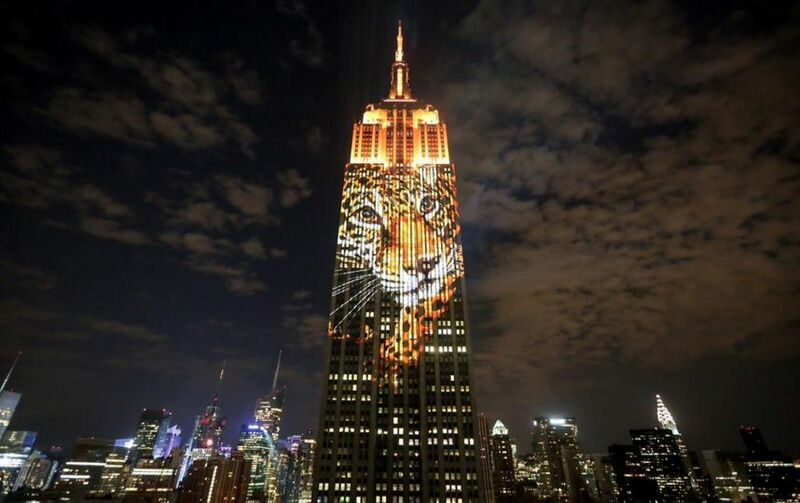 On August 1 of this year, the iconic Empire State Building in New York City lit up the night sky with a variety of images of imperiled wildlife in order to bring to light the message that our planet Earth is on the brink of a devastating mass extinction, the likes of which hasn’t occurred since the dinosaurs were wiped out by a comet 65 million years ago. A new film, Racing Extinction, tackles this real-life horror scenario head on and will air on the Discovery networks around the globe on December 2, potentially reaching an audience of almost two and a half billion people. If just a fraction of that number tune in, it will be the most watched documentary in history. It will also open a lot of people’s eyes as to how dire the situation is, and what can be done to stem this catastrophic event if we act now. The world’s wildlife are facing a number of threats to their existence today. Loss of habitat due to overgrazing of livestock, poor farming practices, excessive logging, drilling for oil and gas, and the ever-increasing population of human beings all result in less space for wildlife to live. Rainforests, which harbor a large percentage of the species on the planet, as well as providing so much of the oxygen-producing vegetation we need in order to breathe, are especially vulnerable, with football field-sized areas being cut through the jungles for everything from lumber to palm oil. As animals are forced into smaller and smaller areas of habitat, they also face danger from hunters. Whether being poached illegally for their fur, feathers, horns or tusks, or whether they are hunted ‘legally’ by those without morals, values or ethics, everything from the magnificent elephant, rhino and lion to lesser-known species like the pangolin and saiga antelope are seeing their numbers drop dramatically and unsustainably. Of course, it’s not just the animals we share the soil and air with that are at risk. 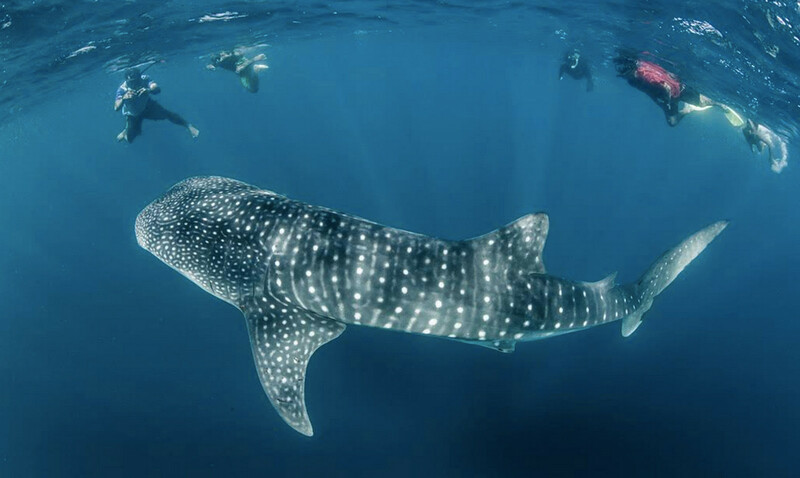 Whales, sharks, sea turtles and fish populations are reaching critical levels due to overfishing and pollution. As many of our world leaders are currently meeting in Paris to discuss ways to combat the very real threat of global warming and ways to curtail it before it’s too late, the fate of our denizens of the sea is at stake. Rising oceanic temperatures have devastating effects on sea creatures, disrupting migration routes, depleting food resources and changing breeding patterns. What decisions are made now in Paris will effect everything on the planet, including us, for decades, and maybe even centuries, to come. Coming from the Academy Award winning team of The Cove, director Louie Psihoyos and producer Fisher Stevens, Racing Extinction aims to inform as many people as possible as to the variety of threats so much of the world’s wildlife are up against, spotlighting a world many are unaware of. When a person in Vietnam buys rhino horn as a status symbol or for a perceived medicinal value that doesn’t exist (it is made of the same material as your fingernails), they need to learn that they are contributing to the eradication of that species. When someone in Japan orders Bluefin tuna or shark-fin soup, they need to know that the species is on its last fins. And while the gloom and doom of this calamitous state of affairs, documented in Elizabeth Kolbert’s The Sixth Extinction, could lead one to become resigned to our inevitable fate, there remains hope that we can reverse course in time to make a difference. What’s happening now in Paris gives the world hope that our nations can come together and find solutions. When both China and the U.S., the two biggest markets for elephant ivory, destroy caches of confiscated tusks and trinkets, there is hope. Whenever a Sea Shepherd vessel goes up against a Japanese whaler, there is hope. Whenever a farmer in Brazil or Africa succeeds in developing sustainable crop management, there is hope. And when people around the world become more aware that we all share the planet together, and change the way they live, eat, act, travel and work for the better, there is hope that we can save this planet and all its incredible creatures for countless generations to come. Without bats to keep insects in check, without bees to pollinate our food, without sufficient fish populations to keep the oceans healthy, our species could be the next in jeopardy. Racing Extinction airs on the Discovery Network (including the Science Channel and Animal Planet) in over 220 countries on Wednesday, December 2. Check out the film’s website, Racing Extinction, and their Facebook page. And together, let’s stand tall for wildlife!